Gillingham midfielder Bradley Dack has signed a new long-term deal with the League One club. The 20-year-old, who has scored four goals in 28 appearances this season, will now remain at Priestfield until the summer of 2018. "We know we have a very good player and he will be a regular starter," boss Peter Taylor told the club website. "He is an outstanding talent, a good professional and we are pleased to have tied him up." Dack came through the Kent club's youth academy and made his senior debut in the League Cup in August 2012. 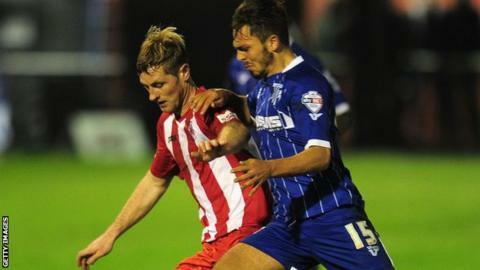 In total he has made 48 appearances for the Gills, scoring six times.